to raise money to support those affected by cancer. Your event could be next! Click here for ideas of how to get involved. 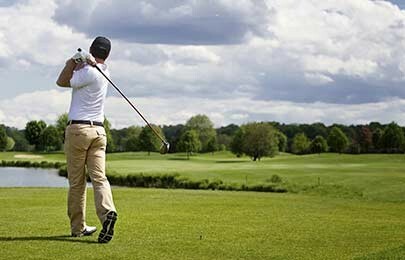 Annual Golf Day returns with Redknapp! Our Annual Golf Day is back for 2019 with the addition of an evening event featuring King of the Jungle, Harry Redknapp! 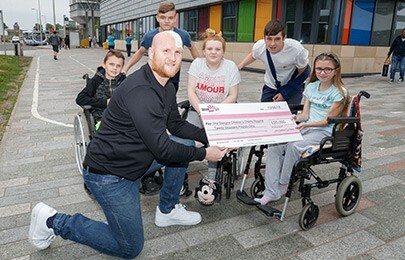 The John Hartson Foundation was delighted to present a cheque to the Glasgow-based charity recently. 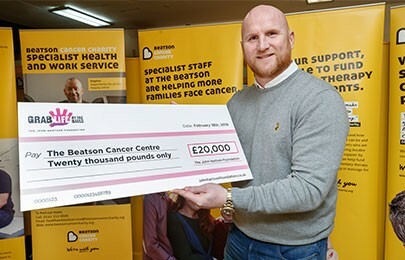 The John Hartson Foundation has an exciting line-up of fundraising events for 2019 as we look to smash through our £1,000,000 target! 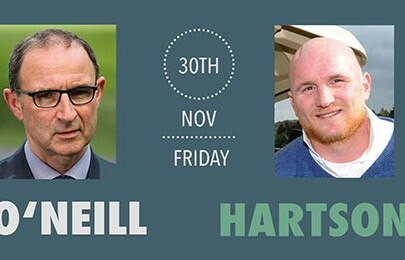 Join Celtic legends John Hartson and Martin O'Neill at the DoubleTree by Hilton, Glasgow Central on Friday 30th November! 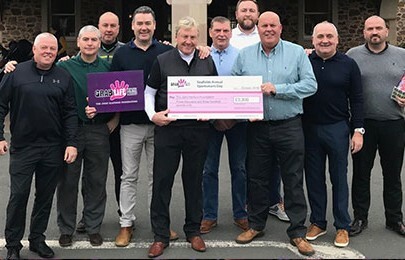 Frank McAvennie was on hand to collect the very generous donation from Seafield Sportsman’s Charity. 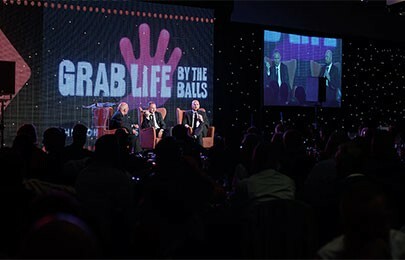 We are pleased to announce that the 8th The John Hartson Foundation Annual Charity Ball is a sell out! 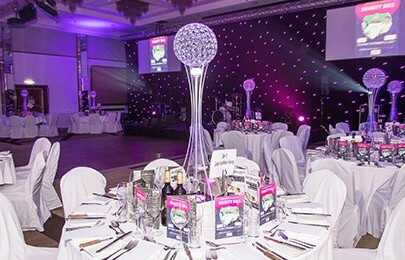 The event takes place Saturday 15th September at Glasgow Crowne Plaza Hotel, with X Factor winner Sam Bailey and George Bowie's GBX. 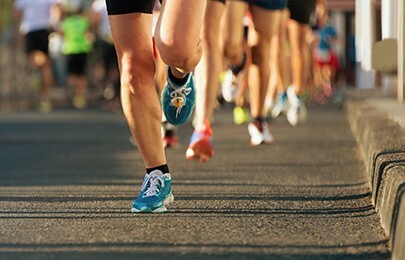 We speak to JHF Ambassador and cancer survivor Alex Stedman as he prepares to run a half marathon in aid of the John Hartson Foundation. John visited the Glasgow Children's Hospital to donate £20,000 on behalf of the John Hartson Foundation. 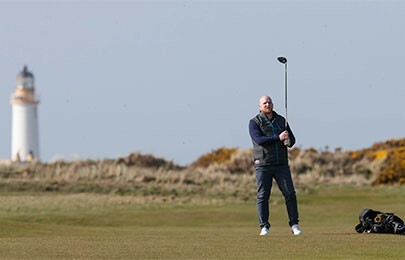 The John Hartson Foundation Annual Golf Day returns on 17th April at Trump Turnberry golf course. This event has now sold out. Thank you!